With all the acronyms in today’s tech landscape, executives are finding it seemingly impossible to keep up. IIoT is no exception. 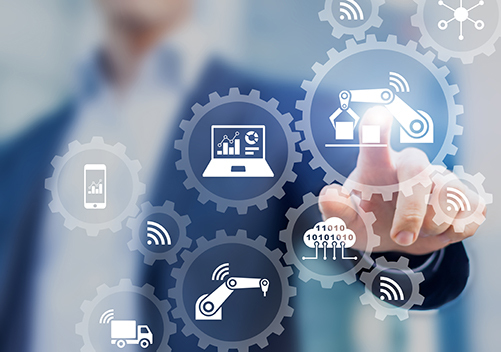 Manufacturers are beginning to sort out how they can make IIoT a reality in their organization as a way to gain granular-level insight, save costs, extend equipment lifetime and improve process visibility. According to an Accenture report, IIoT help companies “capture new growth through three approaches: boost revenues by increasing production and creating new hybrid business models, exploit intelligent technologies to fuel innovation, and transform their workforce.” By implementing IIoT into their facilities’ processes, manufacturers can be poised to increase growth while reducing costs. One of the benefits of IIoT is the ability to access data from machinery around the facility to gain insight, but this information is not available without the proper communication capabilities. Whether the equipment was deployed 50 or five years ago, integrating new or existing sensors with wireless, Ethernet, serial or fiber cables is the first step in collecting data. Once sensors are properly connected, the machinery can then communicate locally and relay information back to manufacturing teams. Introducing innovative technologies into the manufacturing facility requires reevaluating existing security protocols. In an era that is full of data breaches, manufacturers need to ensure all sensitive data being transmitted – both inside and outside the organization – is fully protected and out of the hands of wrongdoers. Special consideration should be paid to any older equipment that is being exposed to networking through the use of protocol conversion, as security may not have originally been designed into the equipment. With the introduction of IIoT-ready technologies, there will be more data than ever before, which can be counter-productive if not analyzed correctly. Manufacturers need to know how to properly gather and analyze data from each machine to gain actionable insights that help streamline processes in the plant, not make them more difficult. Protocol conversion, data logging and visual management will provide ways to collect, monitor and analyze real-time data to provide more visibility into operational conditions revolving around productivity within the plant. Implementing IIoT means there is more advanced technologies than ever before, which can be overwhelming for a manufacturer. The best way to ease into the new data-driven facility is to offer training to better understand IIoT-ready technologies and demonstrate how automation and networking can help them succeed. IIoT will become an inevitable and integral reality within every manufacturing facility, enabling companies to cut costs while maintaining growth. By following these steps, implementing new technologies will be a smooth transition, not a cumbersome and counterproductive burden. 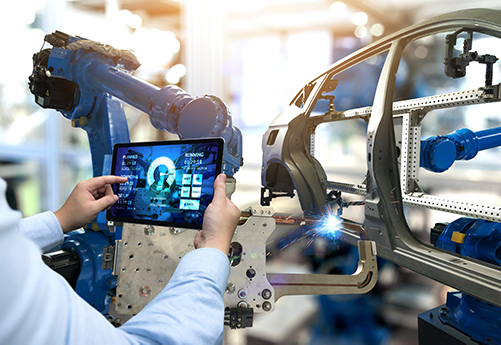 Manufacturing will soon thrive with increased visibility and access to the insights they need to remain innovative, productive and ahead of their competition. ©2019 Red Lion Controls. All rights reserved. All products referenced in this material may be trademarks or registered trademarks of their respective companies.